If you haven’t heard about skin needling, it has been getting renewed attention from the media lately after the posting of Kim Kardashian’s Vampire Facial photo a few years back. Even though that picture seemed to scare some people away from doing skin needling, the remarkable results and many other factors make this a procedure that should not be overlooked. Skin needling, also known as microneedling or collagen induction therapy, is a skin rejuvenation procedure that virtually everybody, even those with darker skin can do. The treatment does not injure the epidermis like many lasers do making it safe and effective for every skin type and color. 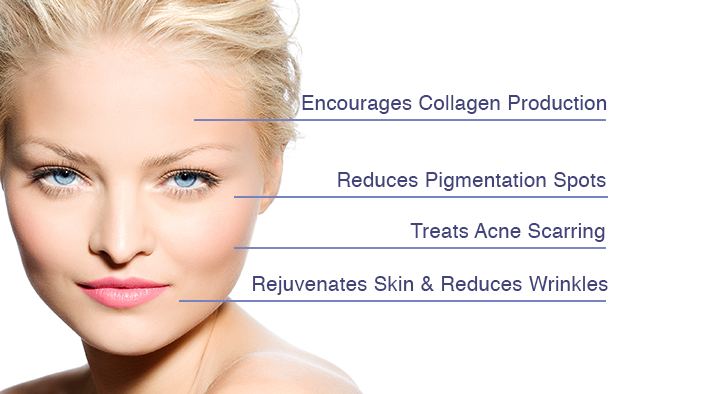 What is Skin Needling Good For? Skin needling seems to be this miracle procedure that can treat a wide range of skin conditions from wrinkles to sun damage, acne scars to stretchmarks and pore size to hair loss. This all can be done safely with minimal downtime. With the precise adjustable needle depth of the MD Needle Pen, a customized protocol can be designed specifically for your concerns. 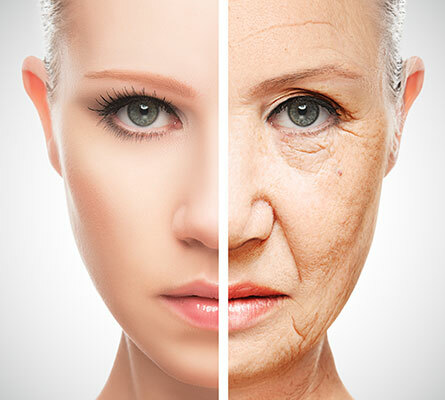 If you’re aiming to refine age-related fine lines and wrinkles your practitioner may suggest 3-6 skin needling treatments along with a Retin A product to stimulate cell turnover. If pigment is your concern a more superficial treatment with a lightening cream will speed your skins transformation. These micro-injuries created by skin needling have a dramatic effect on the absorption of active ingredients, increasing absorption by up to 3000%. It is important to take care of you no matter how busy your life gets and microneedling can fit easily into your schedule. 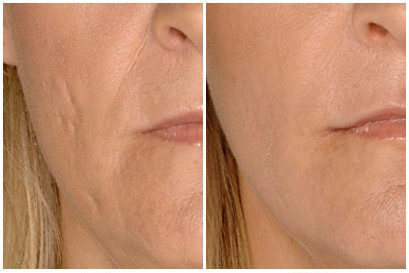 The procedure itself takes just 30 to 60 minutes and has minimal downtime. We know that It is fairly easy to purchase older style devices like dermarollers to do at home but is it worth the risk? With the advancement in technology of the MD Needle Pen, now there is a pen-like device that is more versatile and effective. Small spot size can treat the tiniest of areas at the exact depth specified for results. This medical device can only be used by a qualified practitioner in a sterile environment ensures you’ll face little risk of infection, allergic reaction, or other complications. And you can expect significantly improved results. Your medical practitioner will apply numbing cream to reduce discomfort and not over treat areas which can actually have a negative effect on the production of collagen. Its best to let your MD Needle Pen practitioner set-up a comprehensive program that promotes results and protects your skin from adverse effects. 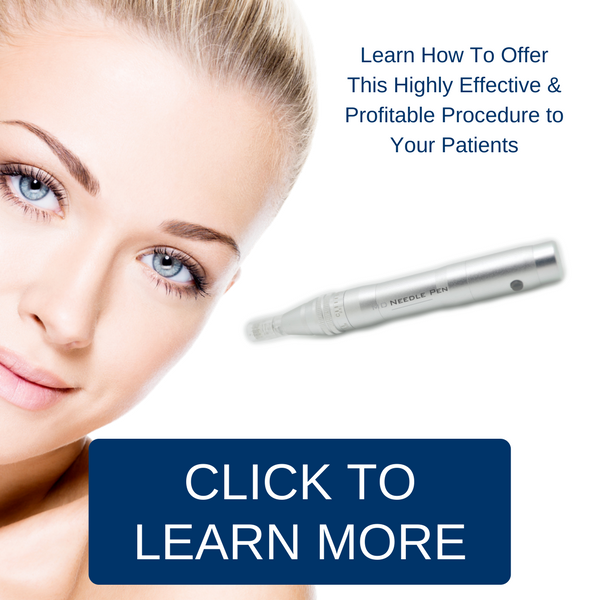 Studies have shown that a combination approach using microneedling along with active skincare products will dramatically increase the effectiveness of the procedure. The practitioner’s knowledge of specific depths and medical grade products will lead to rejuvenated skin faster and safer so let then help you reach your skin goal.